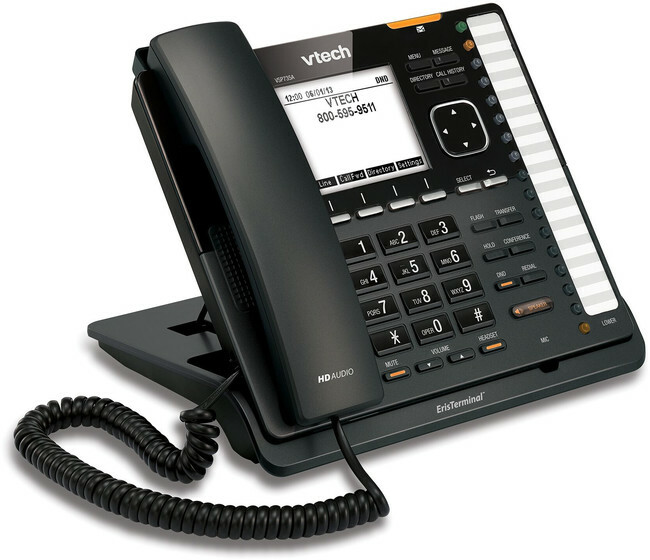 The VTech VSP735A ErisTerminal™ SIP desk phone comes complete with a built-in DECT radio, enabling users to pair the compatible VTech cordless VSP500A headset, ideal for hands-free mobility and super-clear sound quality. 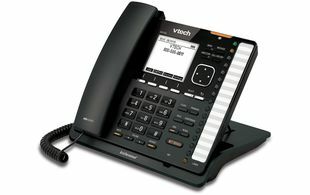 Users also have the added option to pair the VSP735A with the VSP601A DECT handset, offering a solution for all applications. 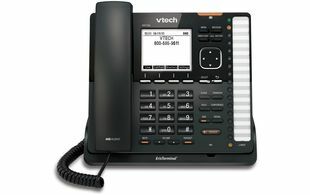 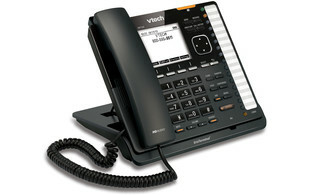 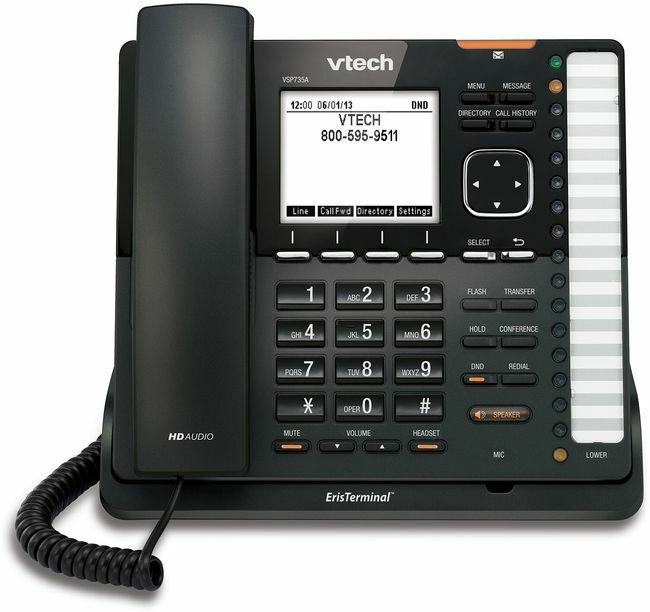 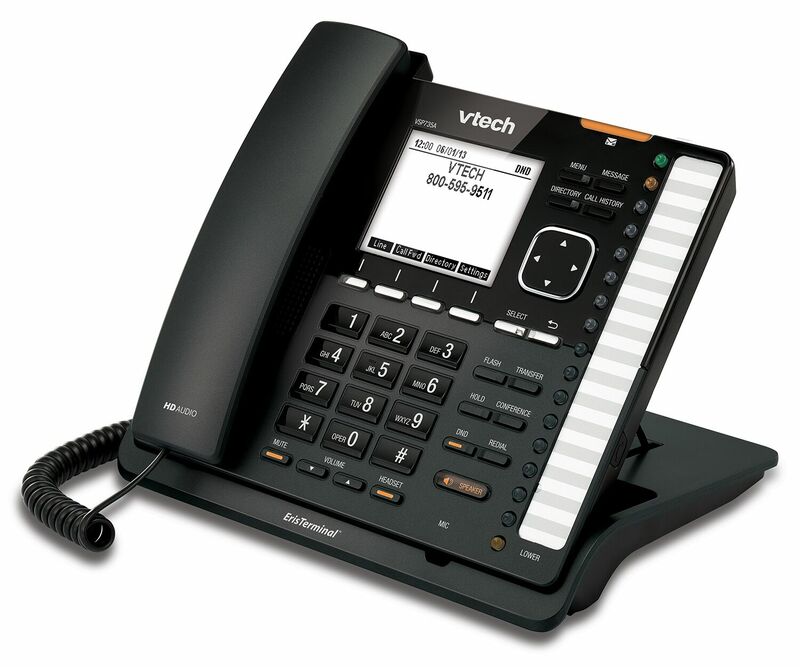 The VSP735A is ideal for business users looking for a high-end desk phone. 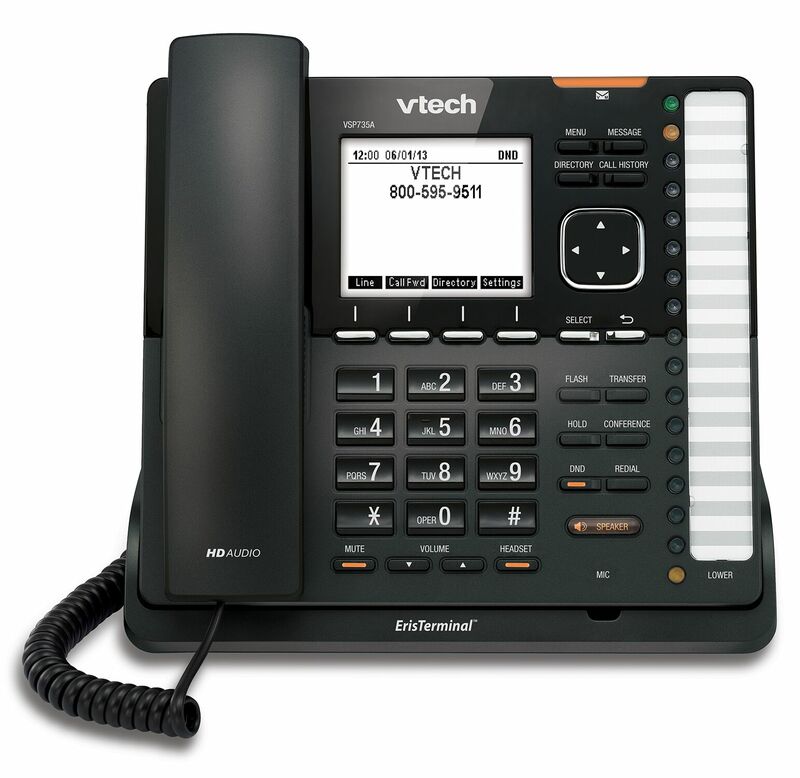 Supporting up to 5 SIP accounts and with 16 keys that provide 32 programmable functions such as: one touch access to shared call appearances, quick dial keys, paging and more. 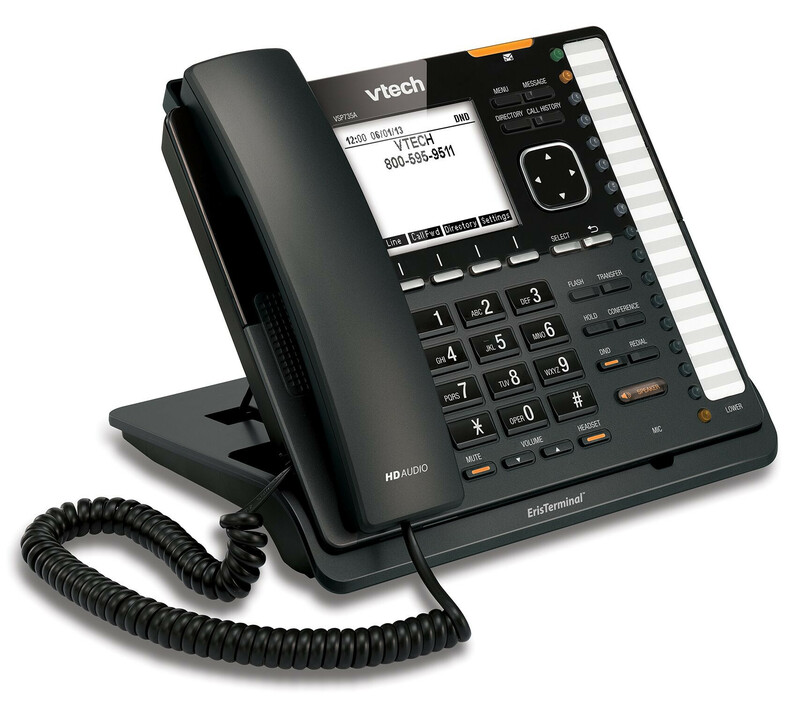 The VSP735A also enables users to experience HD audio among a range of additional advanced call handling features. 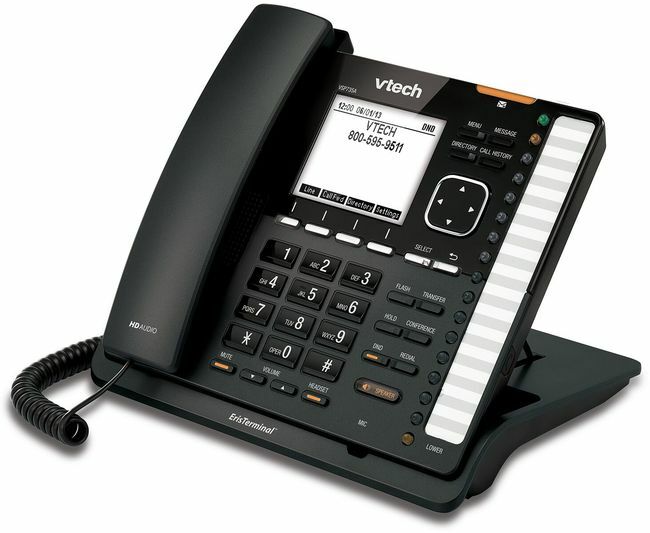 With dual ethernet ports, the phone can be simply connected through either a desktop or laptop computer, eliminating the need for any extra cabling.